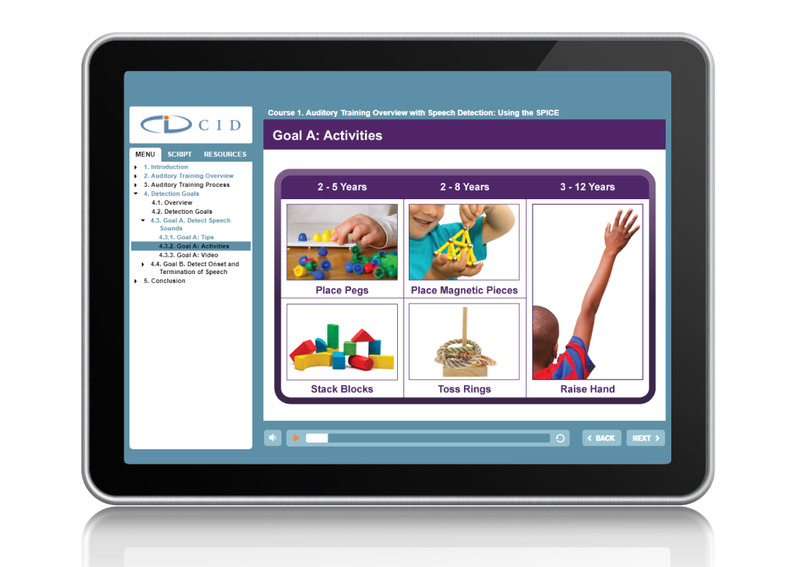 For CID, the Central Institute for the Deaf, we developed a 4-part product training series for their hugely successful auditory training curriculum, SPICE (Speech Perception Instructional Curriculum and Evaluation). The training incorporates the best of what CID teachers have learned using the original SPICE in the classroom for 20+ years. 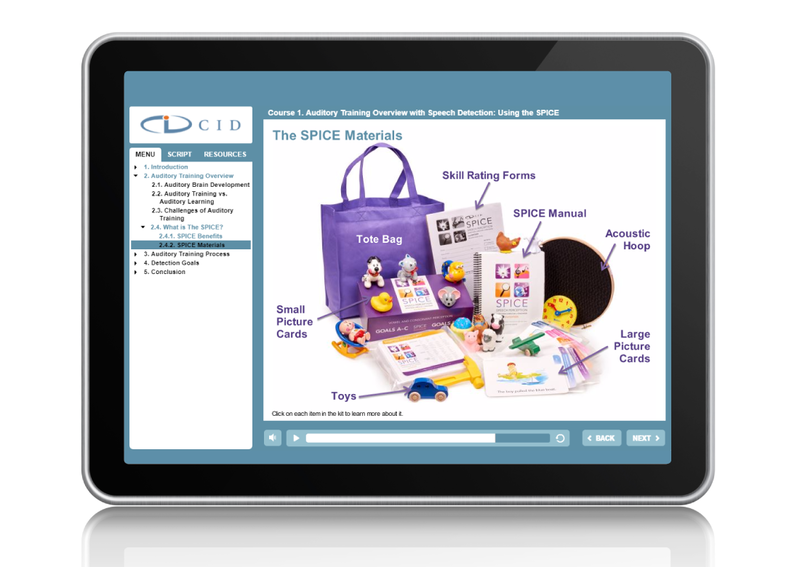 The SPICE is a user-friendly box of curriculum materials, teaching aids, picture cards, toys and tools that is used by teachers of the deaf and SLPs to develop auditory skills in children who are deaf or hard of hearing. From speech detection to suprasegmental perception, vowel and consonant perception, and connected speech, SPICE includes skills and activities for beginning listeners and up. This online product support can be taken for free at CID (cid.edu).